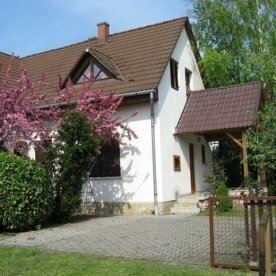 8314 Vonyarcvashegy, Aradi utca 7. 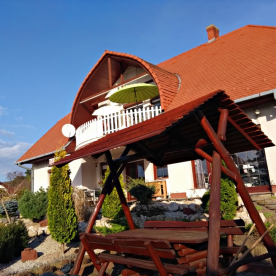 The apartman locates in the center of Vonyarcvashegy, in the north part of lake Balaton, 5km (3 Miles) from Keszthely. It is very close to the strand (500 m), but still calm and quiet. 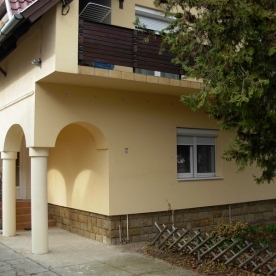 The apartman has a closed court with garden which provide parking possibility for 3 cars. All bathroom has a bath. A terrace in the downstairs belongs to the upstairs apartman, as well. 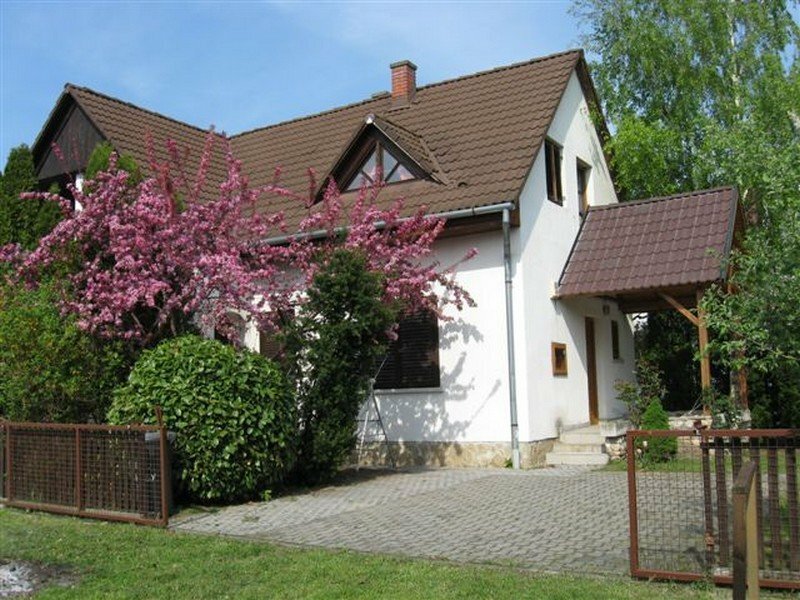 In 100 m range you can find restaurant, supermarket, cafe, post office, surgery and drugstore. 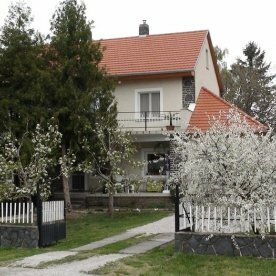 Kati Villa Vonyarcvashegy, Csalogány 4.